Hangsen are specialist in eliquid and have a team dedicated to the engineering and research of the electronic cigarette industry. Specializing in the manufacturing and production of the best electronic cigarette e liquid at affordable prices. HAngsen states "We are ahead of the rest as we are able to provide the highest quality e-liquid produced to the highest health and safety requirements." Hangsen is unique in the electric cigarette industry since it is the only company that has developed its e-liquid naturally from tobacco. E-liquid is significantly better quality when it has been extracted from tobacco than when it is synthetically produced, therefore we have developed a 10 acre tobacco extraction factory in one of the largest tobacco growing areas which after many years of research has allowed us to produce the finest e-liquid forming the best electronic cigarette. We only sell at the wholesale level, so if you are after individual products, then please contact one of our distributers in your area. 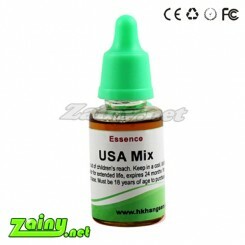 Zainy Electronic cigarettes is a certified supplier of genuine Hangsen e-liquids at great wholesale prices.